How Can I Tell How Much Propane I Need? Ever thaw out some thick, juicy burgers or steak and intend to put them out on the grill for a mouth-watering meal, only to find that your tank has run out of propane? Now that’s disappointing! But, it could be worse. Now imagine that you rely on propane for an alternate heat source. It’s the dead of winter and the power has gone south, and you find at that moment that you forgot to call in a refill for your propane tank. 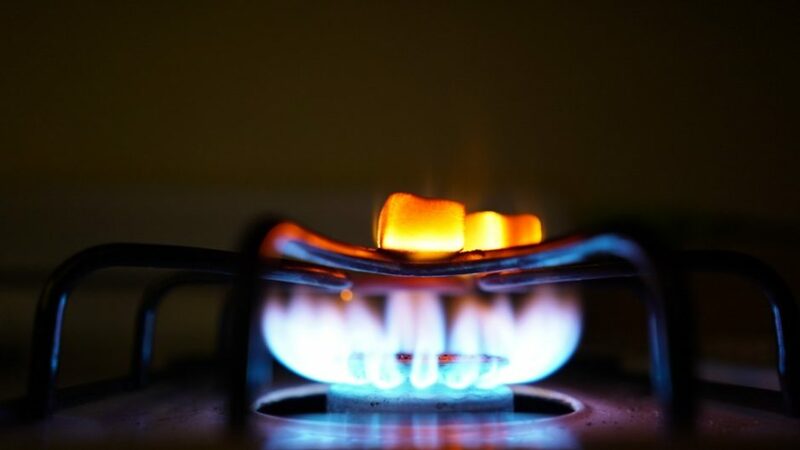 Or, you rely on propane to run most of your appliances, such as your water heater, clothes dryer and oven. Now think about how disastrous it would be to find out that your propane storage tanks are sitting at E and there’s no backup on the way for a while. You can avoid these scenarios and ensure that your propane levels are right where you need them. It’s not even necessary to check propane levels on a consistent basis, at least not when you’re covered by Diversified Energy’s computerized delivery schedule. This automatic “watchdog” delivery service lets Diversified know when it’s time for you to buy propane. Of course, you have the option to check propane levels if you wish and use the Will Call option to report when you need to buy propane. But what to do if you don’t have these handy options available to you? If you have an older propane storage tank and the gauge doesn’t work or isn’t accurate, how can you tell that your propane levels are too low? Take a jug of warm water and run it down one side of your tank. A line of condensation MAY appear at the level of the gas; if not, simply run your hand down the side of tank where you poured the water and you should notice a temperature change between the empty tank and where there’s gas. No temperature change? No gas! But, no worries! A company like Diversified is always ready to handle your propane deliveries, in emergency and non-emergency situations. They can also replace your tank gauge so you can check propane levels, or even replace your entire storage tank if need be. Diversified offers both above- and underground tanks–from 120- to 1,000-gallon tanks! You can also determine how much propane you’re using by applying some simple math. Determine how much propane each of your gas-powered appliances uses in an hour, and then multiply that by how many hours each appliance has been used. Diversified Energy–one of the largest propane suppliers on the East Coast–can help to ensure that your propane levels and your confidence remain high with automatic delivery service and reliable Will Call options. We also install new gauges and storage tanks as well as gas lines, partner with a wide range of top manufacturers of ovens, fireplaces and other propane products, and offer well-trained and courteous technicians to take care of your repairs, deliveries and installations. If you live in North Carolina or the Mount Joy area of Pennsylvania, see our Service Centers and we’ll be happy to discuss your current and future propane needs. We have nine total offices that service NC as well as Pennsylvania. We keep your propane levels high, your cost as low as possible and your faith in our reliability constant. Need assistance? Interested in becoming a customer? We can help. Need to fill up? Get on our "watchdog" program or ask for delivery to your home.